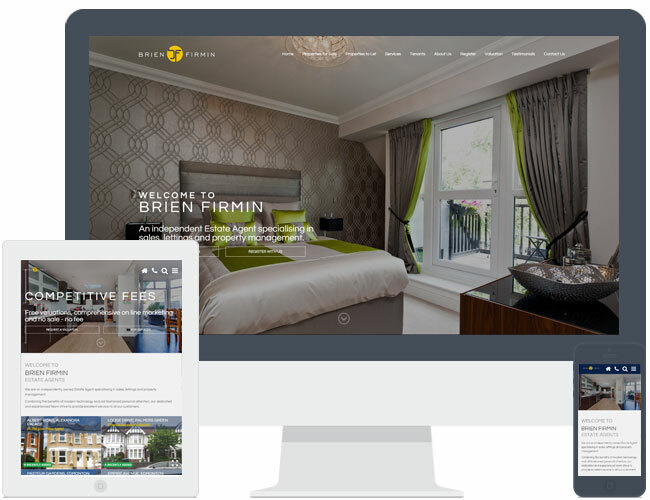 Brien Firmin upgraded their existing Expert Agent responsive website to theme R6. They chose to use an image slideshow instead of a video loop. Their modern branding complements R6 perfectly and works really well. This example contains a text slider on the homepage banner images which is a chargeable extra.